Yesterday I had the great idea to go running around Raven Cliff Falls but when I got to the trailhead there were hundreds of cars and scores of people everywhere and it did not look like the type of experience I was after at all so I consulted my map and drove the short way to Ceaser's Head from where I headed down Frank Coggins trail into the other side of the Mountain Bridge Wilderness where I knew there would be far fewer people and the solitude I was after. 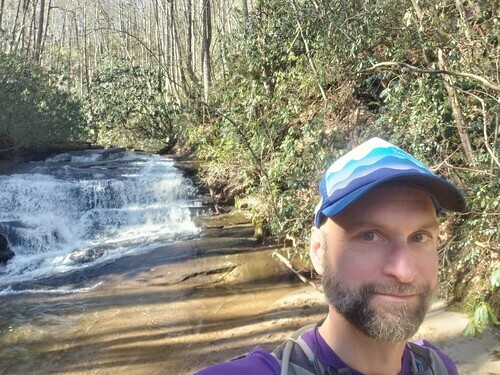 It was unseasonably warm for February with temperatures in the mid sixties and while the hordes of people were out to see the waterfalls the trails in the Mountain Bridge Wilderness are often steep and technically challenging and most people do not venture too far from the popular sights. 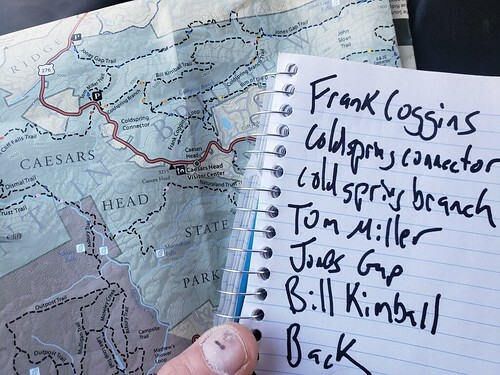 My route would take me on a few new-to-me trails with a few surprises and plenty of elevation gain and loss. 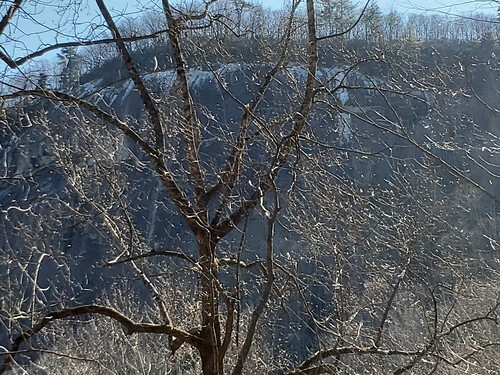 While I did not see the spectacular Raven Cliff Falls I did manage to avoid passing hundreds of people and the waterfall is not going anywhere and will still be there for me to view on another day.